News! 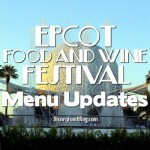 FULL 2013 Epcot Food and Wine Festival Menus and Booths Announced! News! 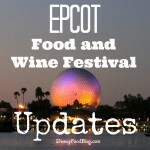 More 2013 Epcot Food and Wine Festival Menu Items and FOOD PHOTOS! I’m very excited to see the French Regional Lunches making a return. Also, I heard from Tutto Italia that the White Truffle Lunch will be returning this year, tentatively on Sun Nov 3. I am disappointed to see that there will be no Party for the Senses on the last weekend of the festival. This is disappointing as we had already made our hotel and flight reservations to attend the last week Nov 2-10. We usually like to take in two of the Party for the Senses since each one is different. 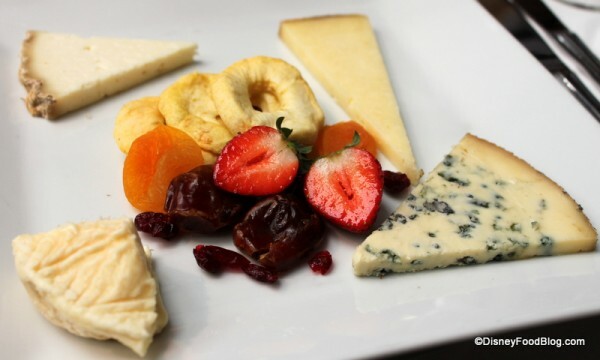 Parisian breakfast!? Be still my heart! c’est magnifique! I didn’t see anything about the Marketplace VIP chef led tour, I’m assuming they aren’t going to be doing that this year. I really enjoyed it last year and was looking forward to do it again this year. This update really makes me wish we could go this year. 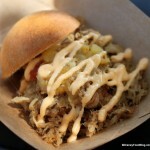 I loved Food & Wine ! I still have nightmares about the escargot ravioli from the French regional lunch, though … both the wife and I (both rather adventurous eaters) just couldn’t handle it. Luckily, there was plenty of great Burgundy to wash it down. Too many choices! Please help me out!!!! Oh, we have done an Illuminations Dessert Party (inspired by the DFB and reviewed on the site in the article when AJ announced her first ever party). Not sure if that changes anyone’s opinion. Mark D., depends how old your kids are. Mine are younger (6 & 8) and did not enjoy Epcot at all. If your kids are young, no question…..Mickey’s not so scary Halloween party. That should read 6 and 8….. Not quite sure what happened there! Thanks for the reply. They will be 13 and 9. 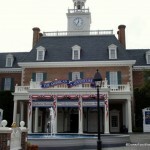 They like Epcot, but not sure how they will feel about F&W as we haven’t done anything like that yet. Any clue if there are any opportunities for people in the culinary field to “intern” for this event? I would totally prep, stir, wash dishes etc. 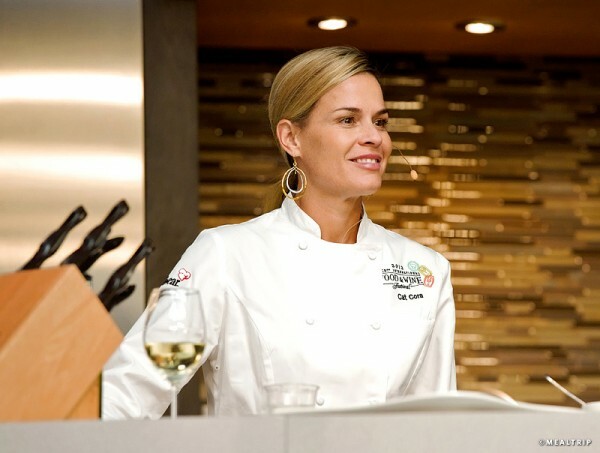 for Cat Cora or any of the Disney chefs. Mark D., if I had to choose I would pick MNSSHP for your family. It’s so much fun. Seeing the Headless Horseman come galloping down Main Street is almost worth the price of admission. I think your kids would enjoy the Halloween party much more than sitting thru a dinner at CG. But then I don’t know your kids! 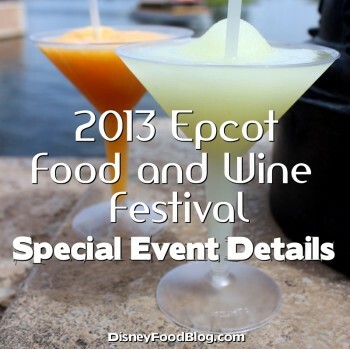 I have attended the food and wine festival for years. In my opinion the kids may be bored. California Grill is awesome but adult orientated. As an adult I personally was disappointed in Mickeys Not So Scary Halloween Party. Have not been to the Illuminations dessert party. There are other options also. The Hoop Dee Doo Musical Review at the campground is fun or Cinderellas Royal Table in Magic Kingdom, Disneys Spirit of Aloha Dinner Show is fun for all ages. Fantasmic Dinner Show in Hollywood Studios. Chef Mickeys is alot of fun usually with Mickey, Goofy, Pluto.. Hope this helps. 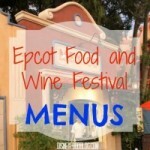 I have been going for the food and wine fest for several years now. I go solo and do a lot of the seminars and events throughout my stay. I love almost all that is offered but would like to make a suggestion. IDK if anyone at Disney pays attention to these. I love desserts but am so disappointed with the quality of the desserts at the 3D dessert party. Almost to the point where they should be embarrassed to serve these at that event. They should be more like the desserts you get at the party for the senses for the price they charge. This is the only thing that I think they should really improve on. Any word on when the Mexican and Italian Regional lunches will be held? 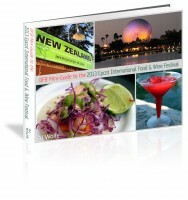 We are going to the at the Food & Wine Festival from 01-06 November this year. 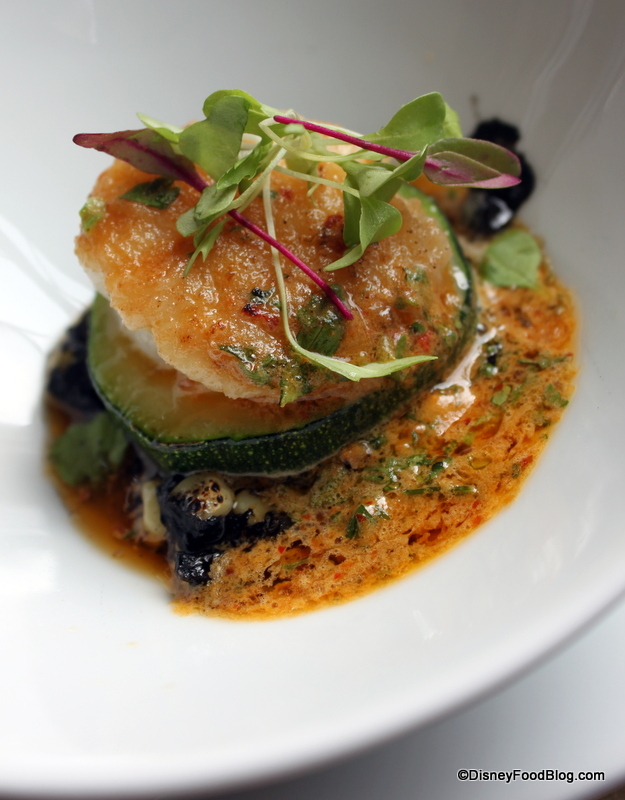 We absolutely loved the Mexican Tequila lunch last year (Humberto was a hoot! 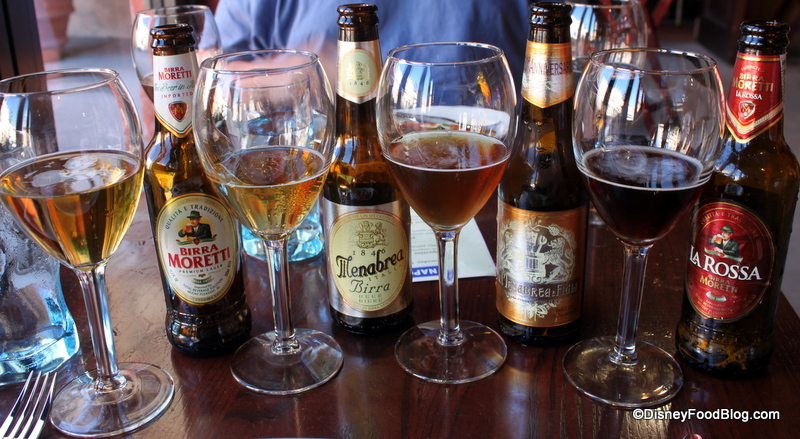 ), and also very much enjoyed the Italian lunch pairing. I sure hope they will have both available on the dates we will be there. Thanks!! Mark D, your kids will love Mickey’s Not So Scary Halloween Party. It’s the best WDW parade and Halloween Wishes is the best. Ann G, you are so right about the Illuminations Dessert Parties. The desserts are low quality and nothing special. We’ll be there from Nov 1st thru Nov 9th. We’ll go to the Halloween Party on Friday, Nov 1st and hit the Mickey’s Very Merry Christmas Party on Friday, Nov 8th. Can’t wait…great week to be there. Will you be posting gluten free options again this year?